A twisting labyrinth of warrens beneath the harsh sun of the wastelands to the east of the town. They are said to be endless, and swarming with mutants and other monsters. Best avoided, by any sane folks. 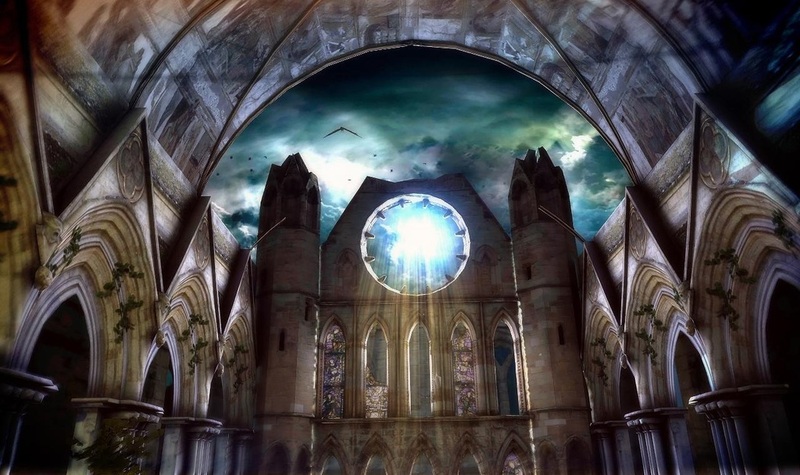 The Church of Divine Grace is an offshoot of the Church of St Ariette, an off-world cult based on Juno. They have operated in Midnight Town for many decades, and are believed to be the oldest church in the town. Despite this, they have the smallest number of members. The church is surrounded by a compound in which members are expected to spend all of their time between work and sleep. The current leader of the sect is Preacher Harriet Wheeler. Few outside of the cult have met her, as she rarely comes into town. Put out of your mind any idyllic farming hamlets or rolling hills on which animals graze. The Grox farms are a battery farming operation on a vast scale, with thousands of creatures rammed into tiny cages and fattened up meticulously according to the optimal schedule. While its main produce is Grox, it does produce other animals, some of which spend their entire lifespan on a conveyor belt. This factorum is run entirely by the Adeptus Mechanicus: any non-inducted members are servitors. The highest ranking member is Rune Priest Cibus.